I am usually not a big fan of Italian food, but this restaurant is definitely catch my appetite . I’d say the environment is very nice, it’s located in the basement with plenty of room and free parking available. I have visited this restaurant twice during dinner time. It is always pack of people, mostly for family gathering. 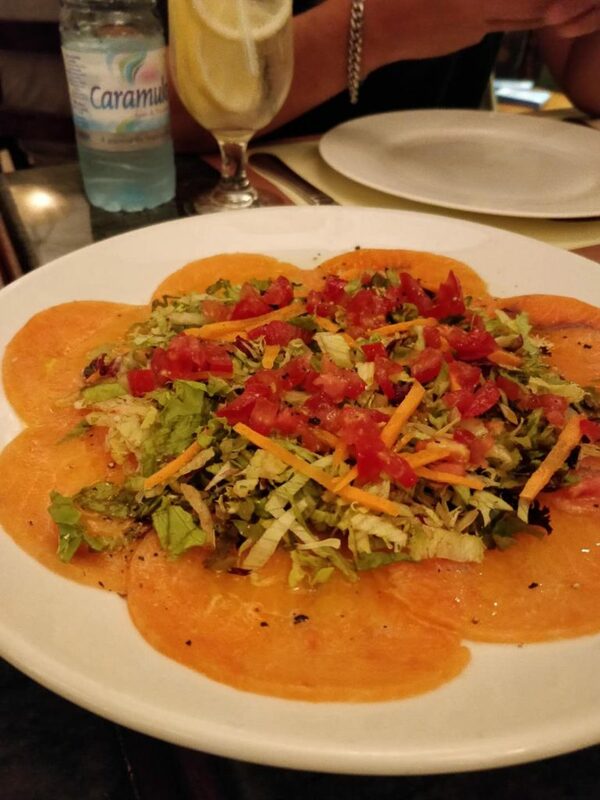 We ordered several main dishes Carpaccio Di Carne (raw beef with salad as side dish), Carpaccio Di Pesce (raw salmon with salad as side dish), pork chop with honey mustard sauce, linguine with cuttlefish ink sauce, triple cheese pizza and seafood pizza. Carpaccio Di Carne is real good which I strongly recommended, the dish comes with bread and naan, the beef is marinated in lemon juice is so sweet and tender. I can’t taste any sort of gamey. The waiter told us that the correct way to enjoy this dish is to sandwich the bread with beef and fresh veggie salad. The second dish that I strongly recommend is the linguine with cuttlefish ink sauce, the texture of pasta is perfect. It’s neither too hard or too soft. It is rich with the olive taste. Be aware of your teeth turn black after eating it. 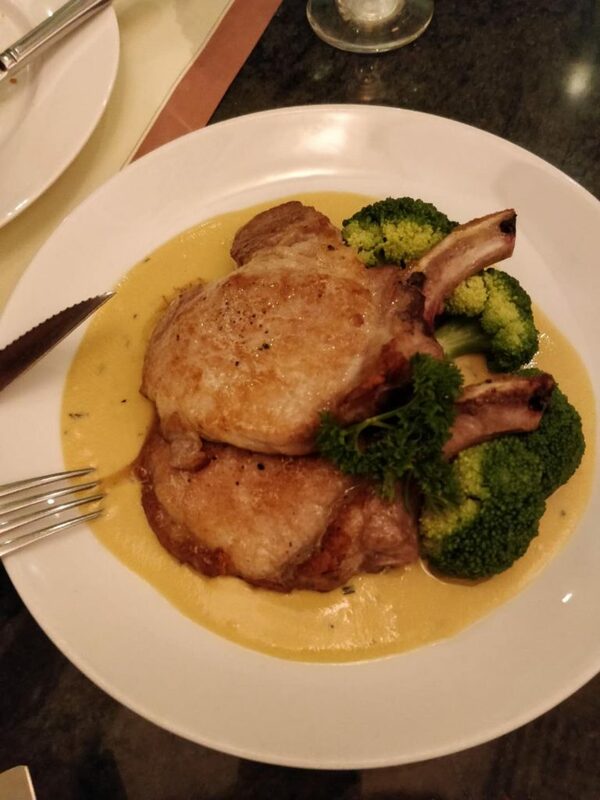 One thing I like the pork chop is they can make the pork chop as tender as the beef. However, the honey mustard sauce is a bit too salty, I can’t taste any honey in it. The triple cheese pizza is too salty for me. 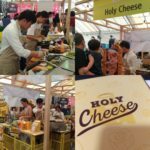 You should have avoided it unless you are crazy cheese lover. Wow.. those pics are super tempting. Food must be equally tempting for sure. The carpaccio looked yummy, more so with the bread! Again, this post is making me want to go to Macau! Come if you have time, Macau is more than just casinos. Tones of good restaurants waiting to explore. I love some Italian food! You tried some interesting food that I’m not sure I would be brave enough to try. 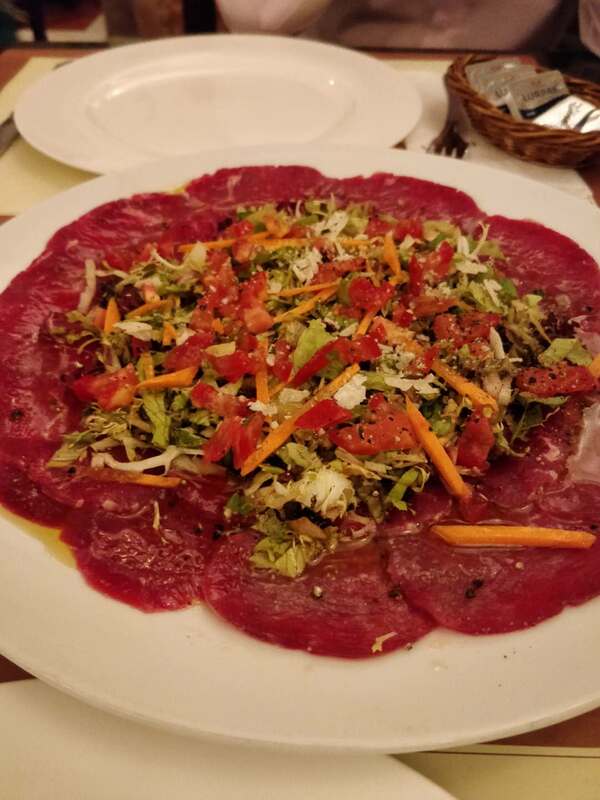 I loved the carpaccio. Being an indo italia the food from there is my favourite. I love Italian food so I would love to visit here someday! 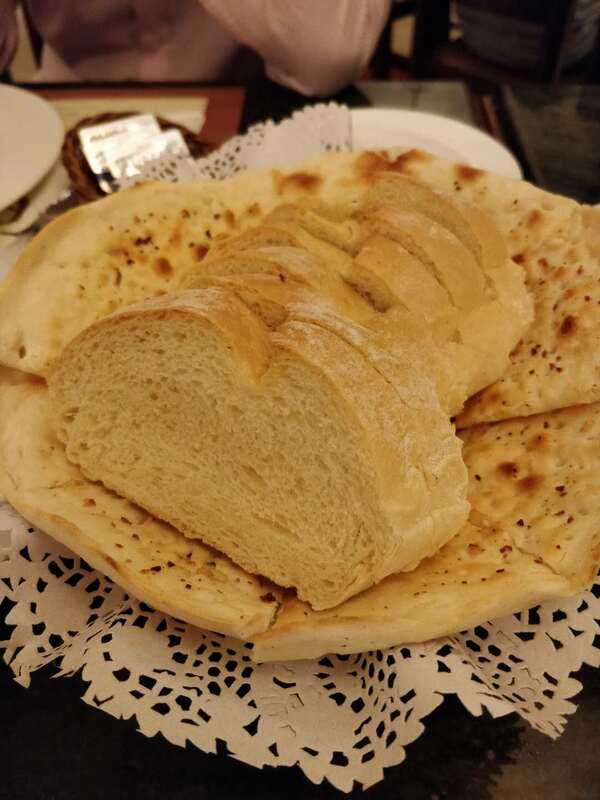 I’m surprised that an Italian restaurant serves naan though (but I definitely wouldn’t be opposed to it). Fantastic! I’ve been looking for some great travel destinations, and Macau fits the bill! I’m really into travelling, Hong Kong and Macau are really high on my list of destinations! 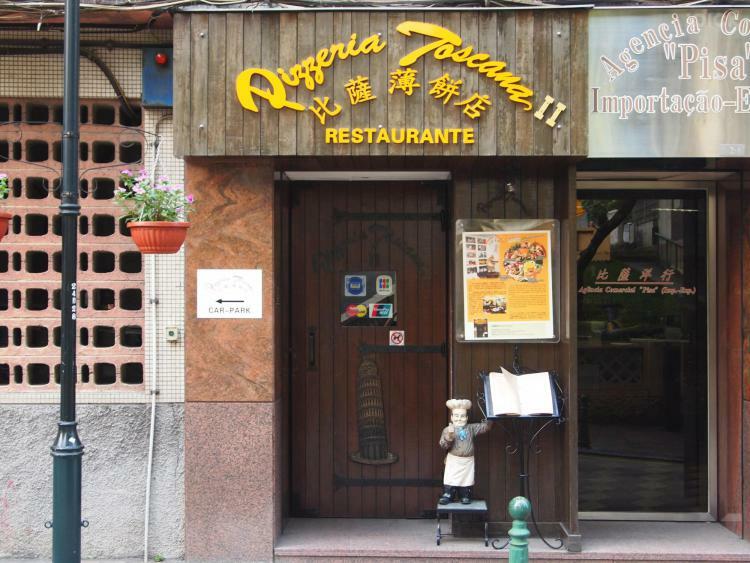 Funnily enough, I hadn’t thought of eating Italian in Macau! But it’s such a huge multiculural place, I’m excited to try it out now! Hi Peter, Macau is real multicultural, you should also try Portuguese Food cuz Macau was a Portuguese colony. Wow! That is amazing that you found an authentic Italian restaurant in Macau! I wish I knew about that when we last visited. The food looks super delicious! The cuttlefish ink pasta is something I would really want to try. 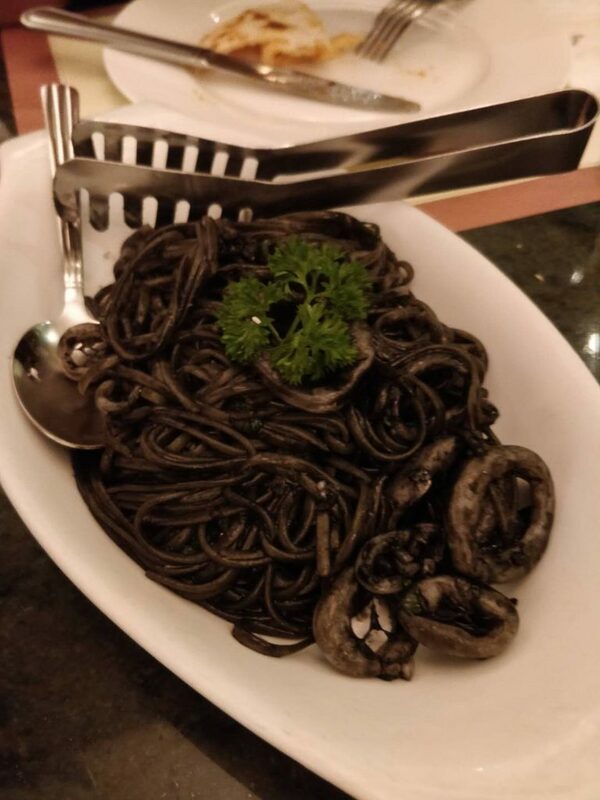 The cuttlefish ink pasta is definitely the must try dish in the restaurant. Oh I love Italian food and especially trying new dishes! These all look great, it’s made me hungry! Thanks for your support. I’ll keep posting nice food from Hong Kong and Macau. If you travel to these areas, maybe you can have some idea from my blog. Those pictures are making me hungry again! I love Italian food. 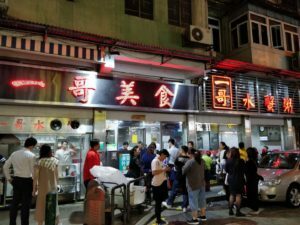 I need to add Macau to my visit list as I’ve not been to many places… at least I know that if I’m not that fussed on some food that I can get my favourite if need be! Welcome, We have variety of food. Macau is the place where Eastern and Western cultures meet. 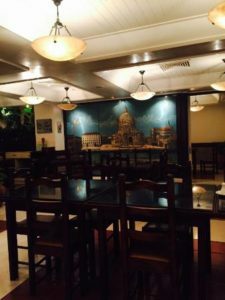 Wow, those food are really good and looks so tasty and I am glad that you found an Italian restaurant that really serves delicious food and satisfied your cravings. 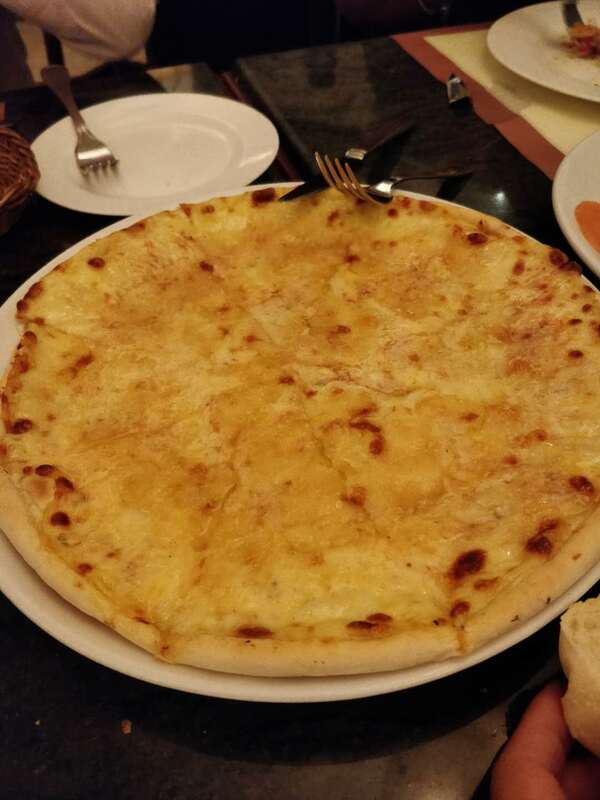 Wow, those food are really good and looks so tasty and I am glad that you found an Italian restaurant that really serves delicious food and satisfied your cravings. 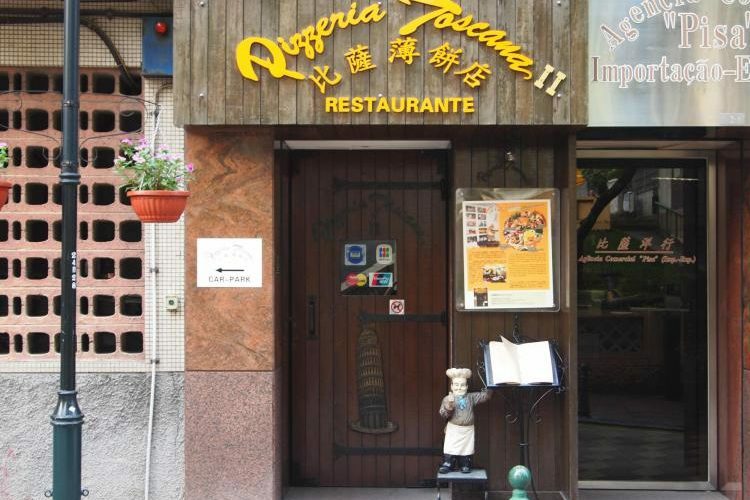 I will definitely visit that restaurant once I went to Macau again. The linguine with cuttlefish ink sauce looks perfect for Halloween! I will definitely try that in Macau! I would love to dine here. The food looks very yummy. I have not been out to eat in ages. 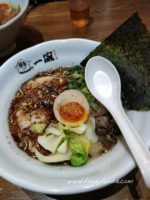 It’s interesting to try different cuisines from around the world. That black pasta is very interesting with the cuttlefish ink! It is definitely very pretty! But I don’t know about having the ink stain my teeth – I wouldn’t have thought about that. The ink doesn’t affect the taste? Oooh these food choices look really interesting. I don’t know that I could eat anything with ink on it though, even if it looks that awesome! I love Italian food so much! You can’t beat it! All of these dishes look delicious!! Wow, everything looks and sounds delicious! 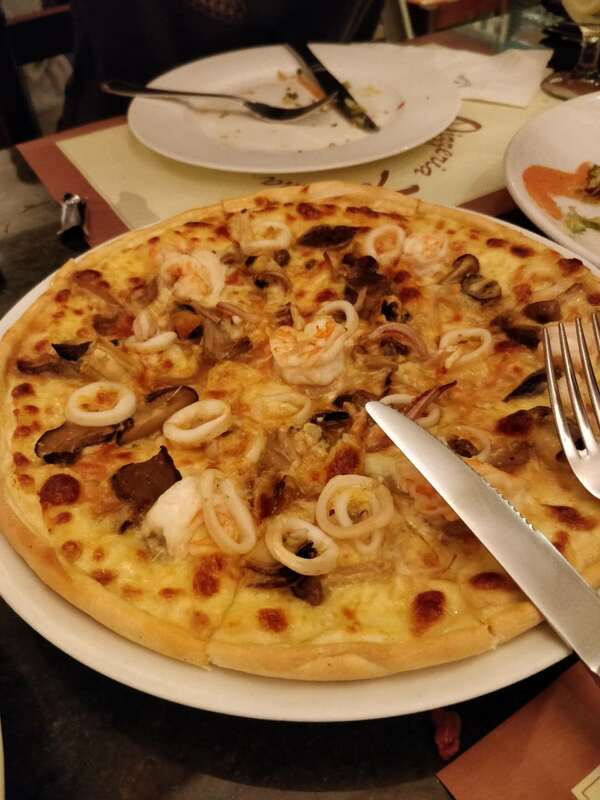 I love Italian food, however I have never had a seafood pizza before… That sounds like it would be interesting to try. That looks yummy. Wish I was closer to try this out in person. 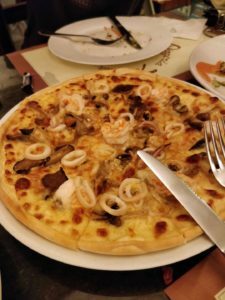 Seafood pizza looks interesting! 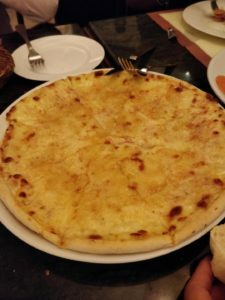 That pizza looks SO cheesy that I thought it was a pasta dish! That is definitely up my alley. One of my biggest goals for next year is to do a food tour in Italy in whichever city I’m staying in! Do you have a favorite place? Thanks for another recommendation. We will soon visit Macau and this is perfect timing. Adding to my foodie list!